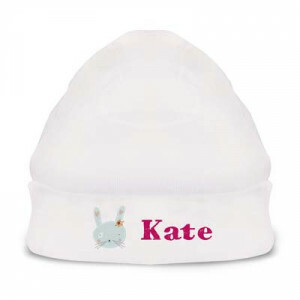 Choose from lots of lovely baby designs and add the name of the baby or upload a picture of the newborn. 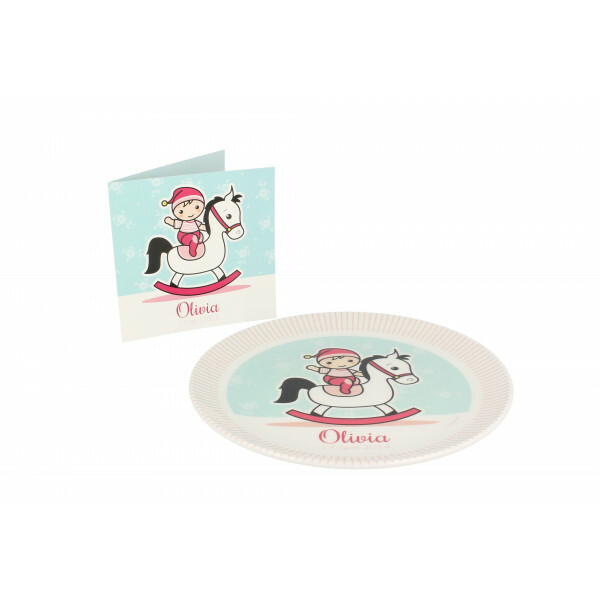 A personalised present that can be used on a daily basis, dinner time will be fun. 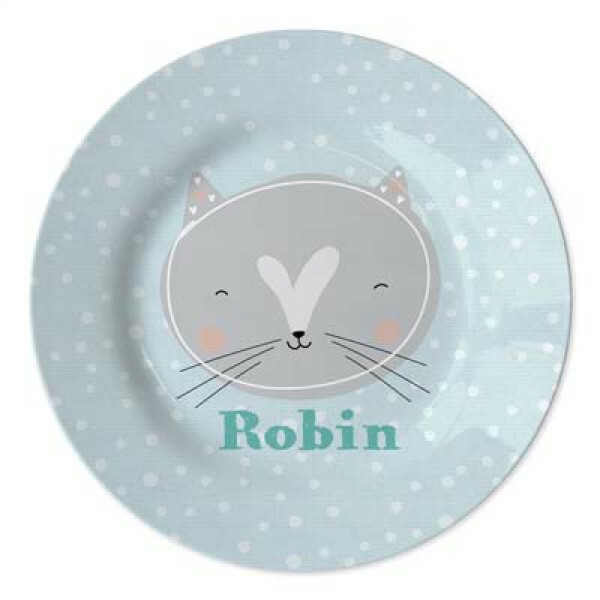 This plate is the perfect baby gift! 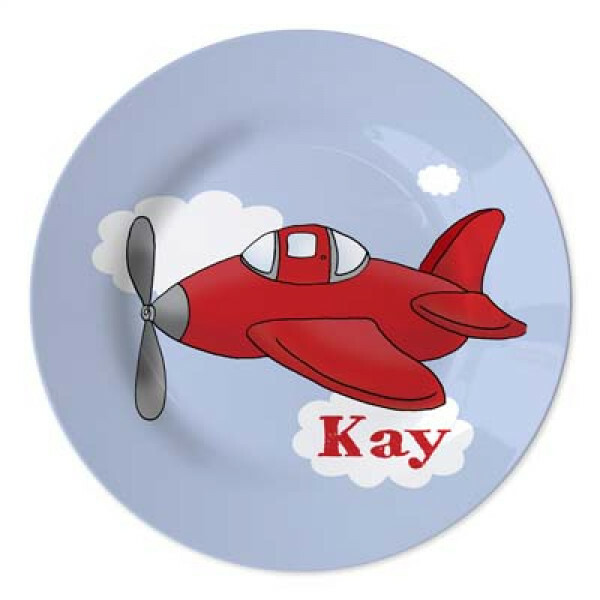 Our user friendly editor will help you step by step to easily design your own plate with your photo, text or personal design. 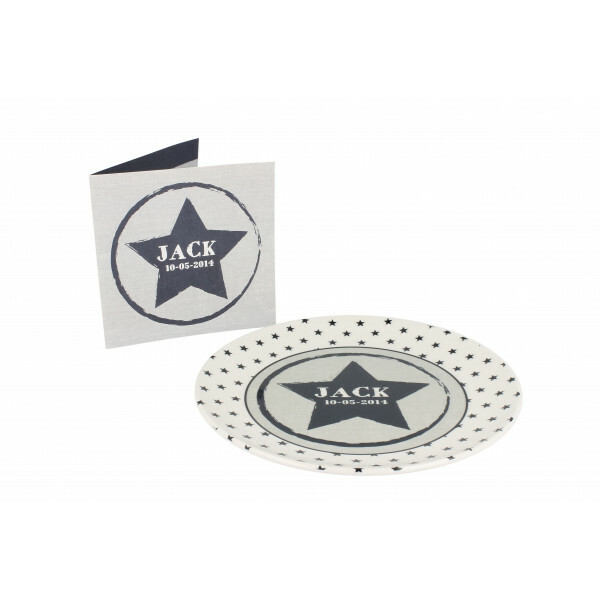 The plates are made of high resistant polished synthetic material with a luxurious look and touch. The plates are almost unbreakable, BPA free, foodsafe and dishwasher proof. 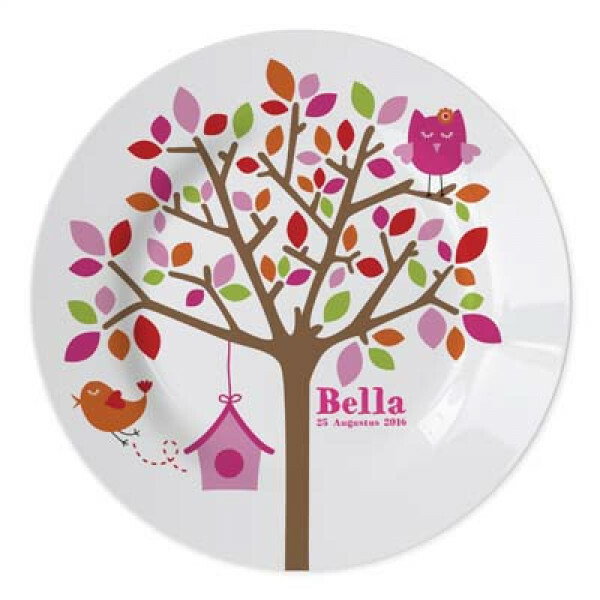 Are you looking for the perfect babygift? 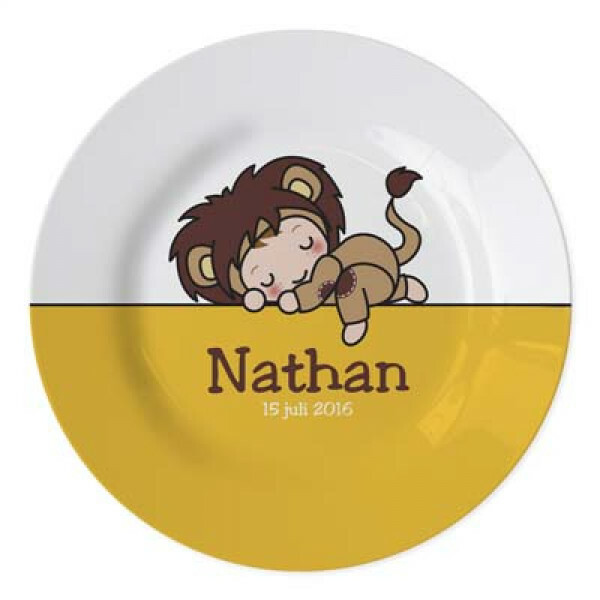 A personalised plate with the name of the baby on it or a picture of the newborn, will be the ultimate gift. With the name of the baby and the date of birth is this present a guaranteed success! You can also upload a photo into one of our lovely frames to create a unique present. With a personalised plate the first bites will be even more fun. 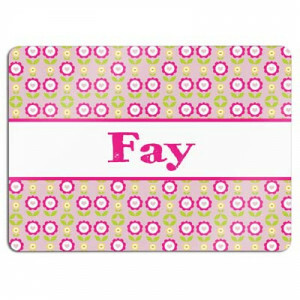 So if you are in need for an original baby present, or if you have a babyshower coming up, you now know what to order. 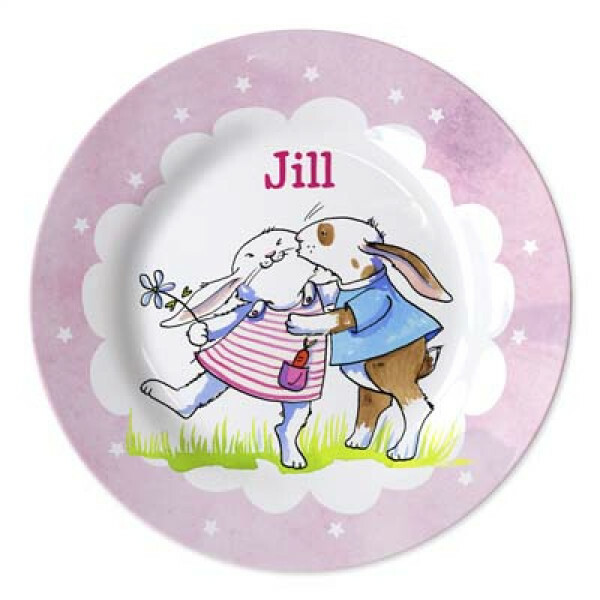 You can't go wrong with these cute plates. 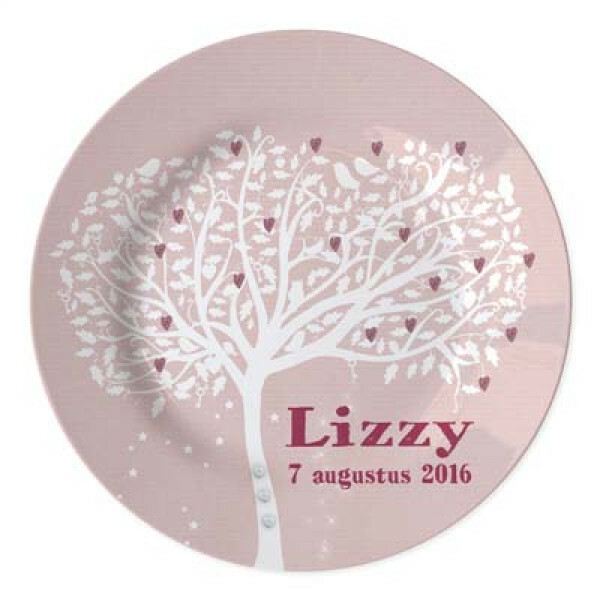 We print your design with the greatest care on the plate and deliver your personalised plate within 1 week. 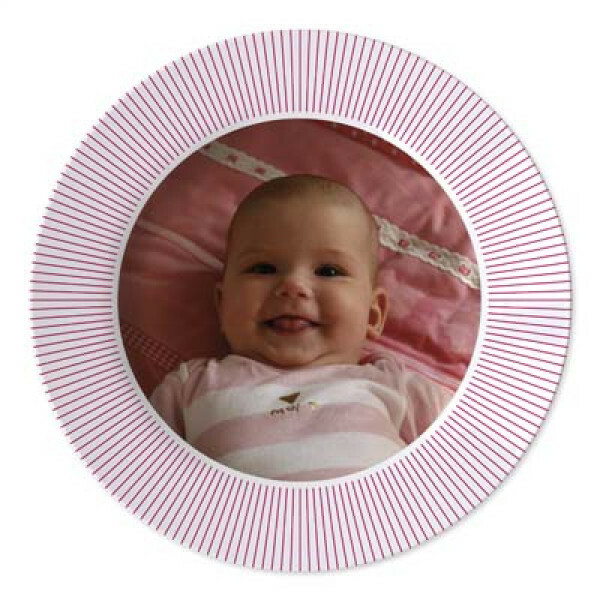 The plates are made of high resistant polished synthetic material with a luxurious look and touch. The plates are unbreakable, BPA free, foodsafe and dishwasher proof. Choose a design from our collection in the editor. You can also add a picture to a photo frame. Add your name and/or text. Fill out your address details. We'll deliver your order within 1 week once your payment is done. This is really cute gift, thanks for the fast delivery! 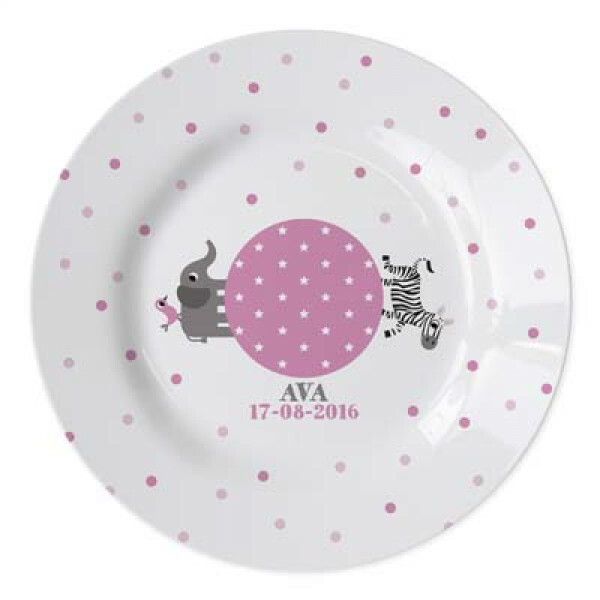 I gave this plate as present for the newborn, great gift, thanks! Subscribe to our newsletter to check out information about new designs, new products and discounts. ©Copyright 2016 by StudioKidsDesign. All Rights Reserved.